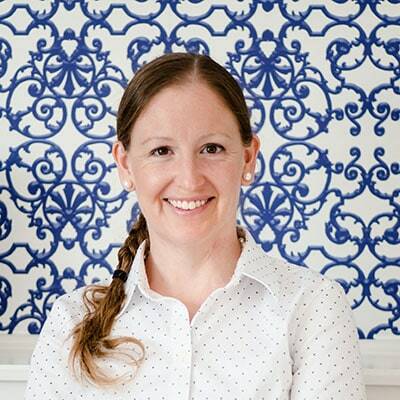 I originally got into DIYing because I liked being able to make things exactly as I wanted them…on my budget, in my color scheme, to my specifications. 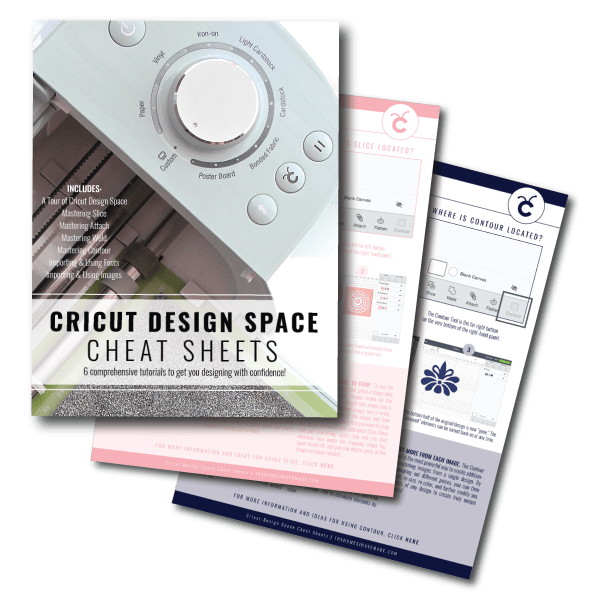 And while it is often much easier (and sometimes cheaper) to just buy store-bought versions, having something perfectly tailored to your wants and needs is pretty awesome and can be worth the hassle to get it exactly right. 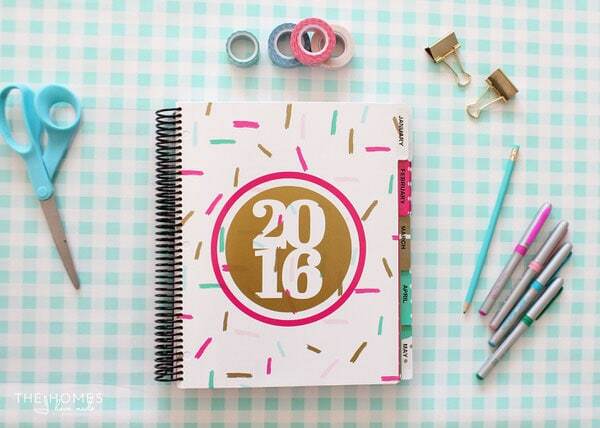 Such is the case with my 2016 Planner! After struggling with several store-bought versions over the last year, I set out to assemble my own ultimate planner this year. My goal? 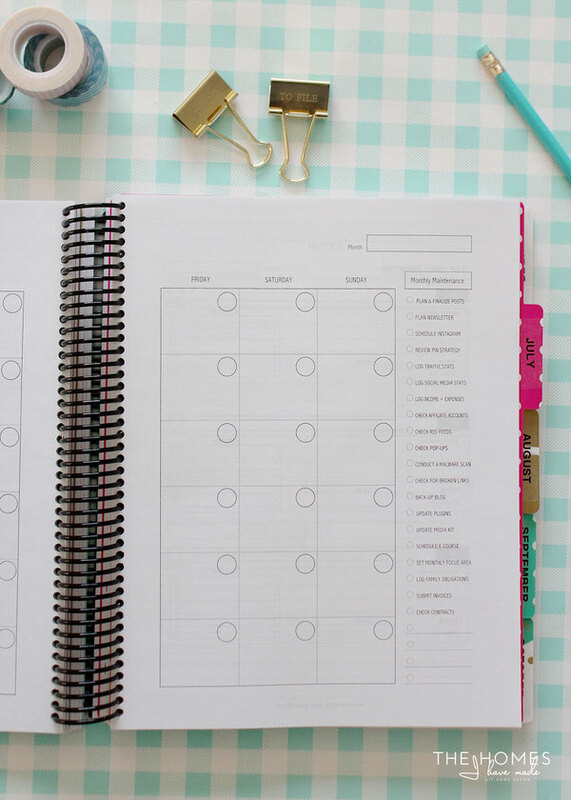 A planner that would allow me to keep track of all of my personal, family, and blog/business stuff in one, single, efficient, easy-to-use spot. 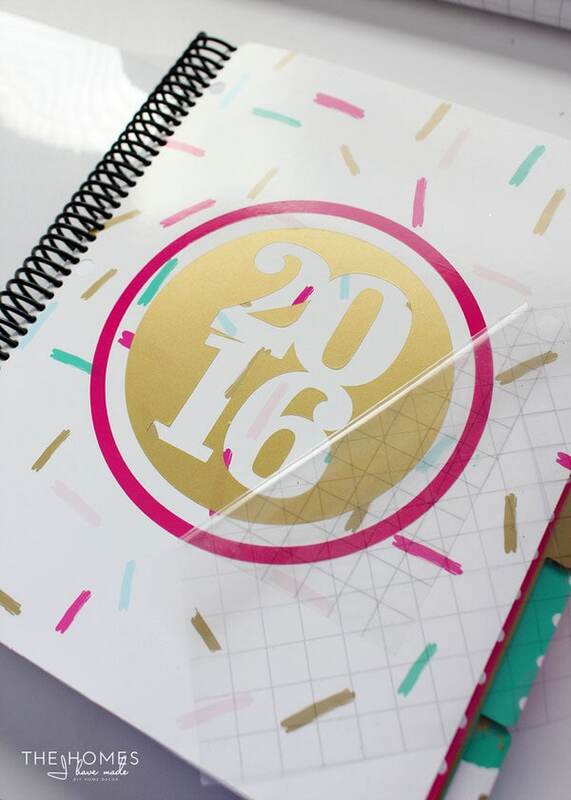 I think I succeeded, and I can’t wait to give you a tour of my 2016 Planner. 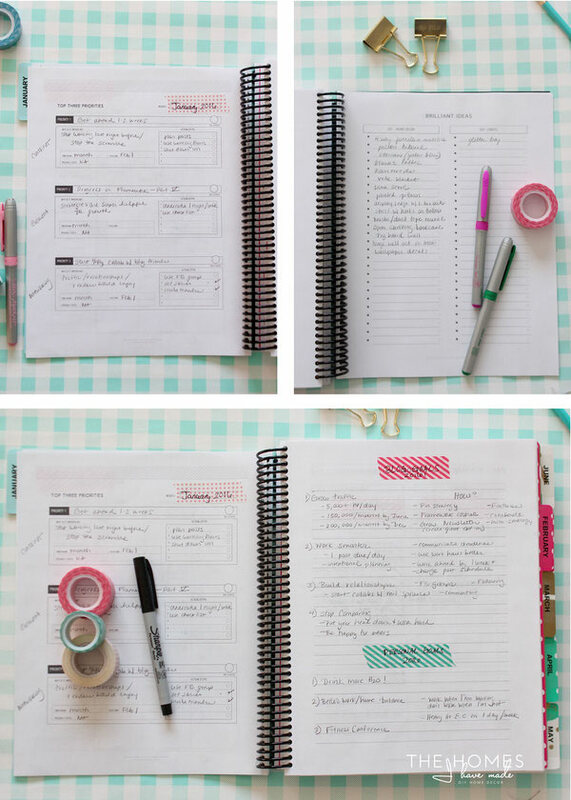 I am also sharing some tips and tricks for making the most of out printable planners so let’s get started! My quest for the ultimate planner began on Etsy. 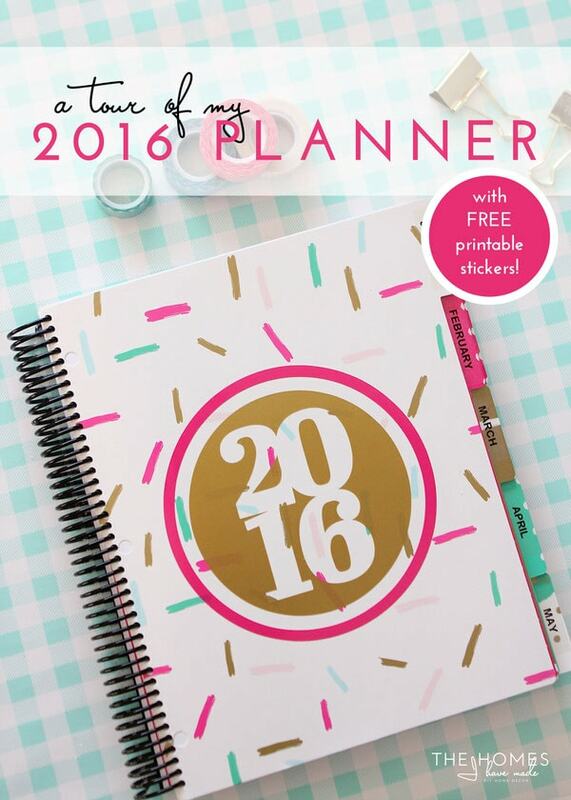 I do love designing printables, but planners are a different beast. They are detailed and complicated and time intensive to create. I don’t mind spending time and effort to make things personal and just right, but I knew I could save myself a ton of time by starting with an already-designed planner. 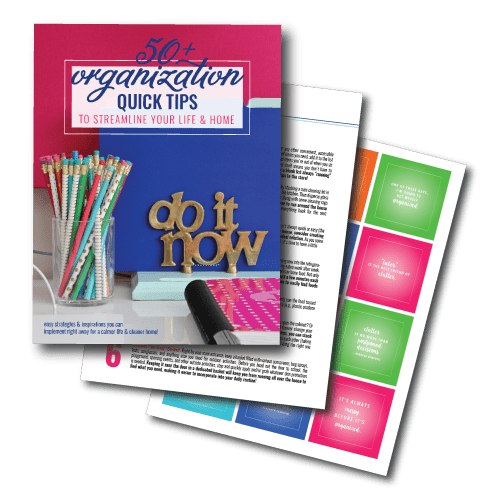 There are so many wonderful printable planners out there…both free and paid..and you can really drive yourself batty trying to find the right one. 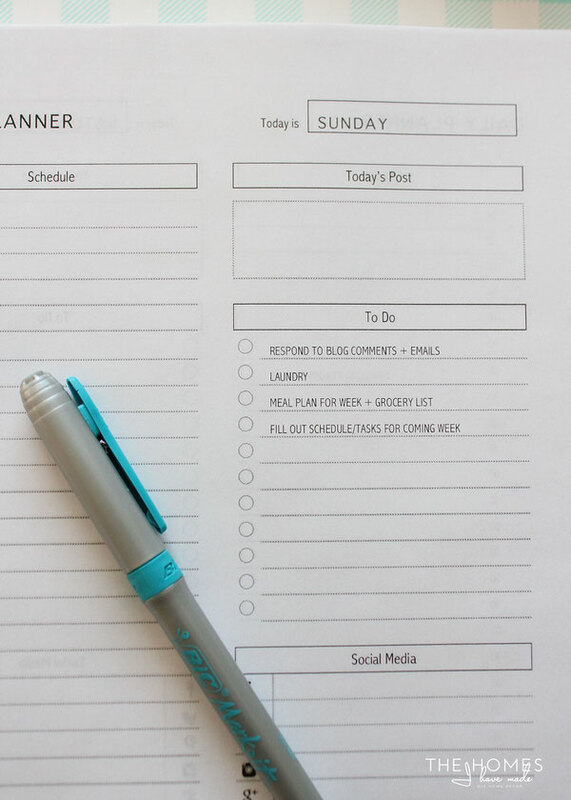 I ultimately decided on THIS comprehensive Blog Planner from Grafika Studio. I am so thrilled with this choice. Not only does it have so many usable blog resources and a nice clean look, but the price was a great! And best of all? 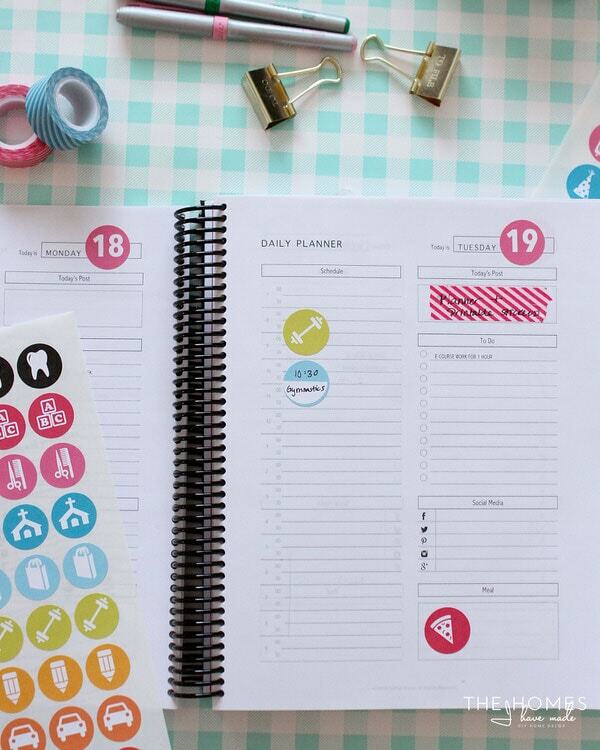 The designer offered a Word version of the planner for customization. Sold! 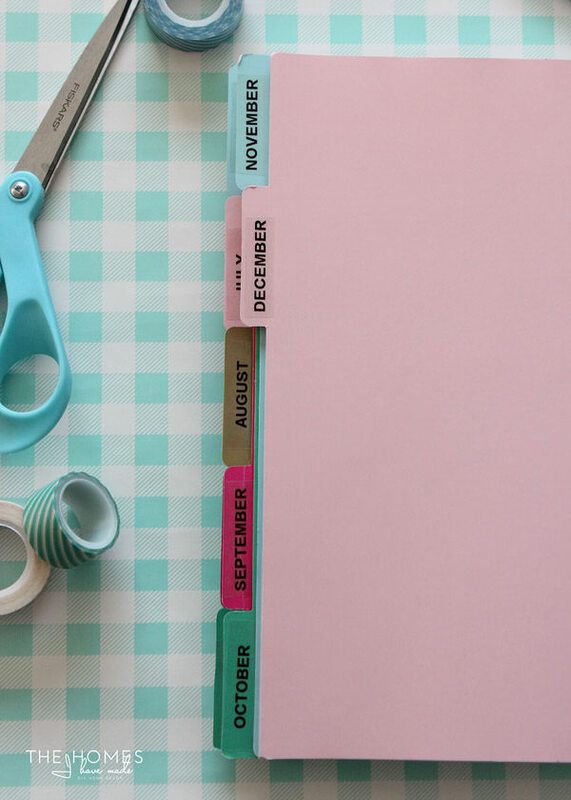 If you are able to get your hands on an editable planner, one of the best ways to fully customize it for yourself is to pre-type in recurring events, important dates, and other items you specifically need in your planner. 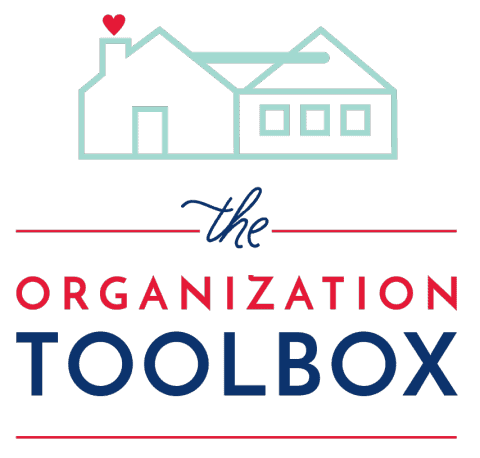 Before getting this planner printed, I spent A LOT of time streamlining our home chores as well as my blog tasks…deciding what needs to happen when so that I am tracking things (especially blog-related taskers) across the week, month and year. It was a time investment on the front end that I hope will pay off as the year goes along! 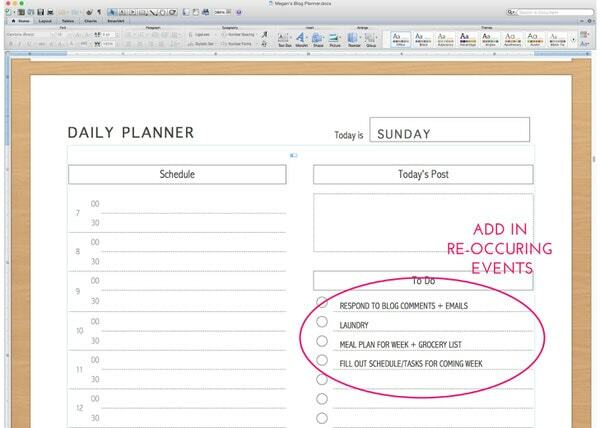 Once I had the entire planner filled out with my specific tasks and reminders, I saved it as a PDF. Using the Preview program on a Mac, did you know you can quickly and easily delete out and rearrange pages in a PDF document? Yep! All you have to do is drag and drop the document’s thumbnails! You can also add in additional documents already saved to your computer, allowing you to make the ultimate printable resource. 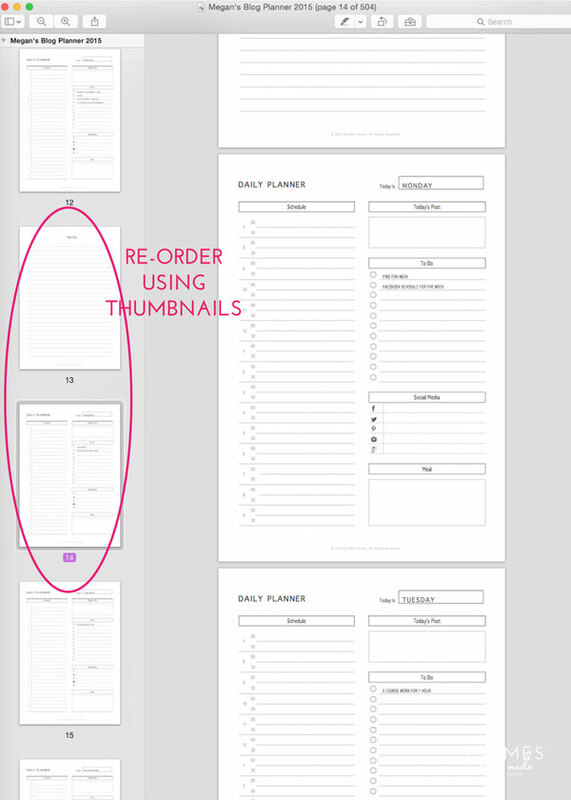 Whether you PDFd it yourself or bought a PDF, I encourage you to spend some time deleting out and re-ordering pages so that your planner makes the most sense to you and everything is in there that you want. I added in monthly goal worksheets to each month layout, notes pages to each week layout, as well as a bunch of other blog planning/tracking resources to the back of the entire planner. I deleted out any and all pages I wouldn’t use…and BEORE printing, I went through the entire document to make sure everything would print out on the correct-facing pages! To save myself time, printer ink, and a big ol’ headache, I took my fully edited, customized, and arranged file to a local print shop for printing and binding. It cost me about $40 to have 250 double-sized pages print and bound. 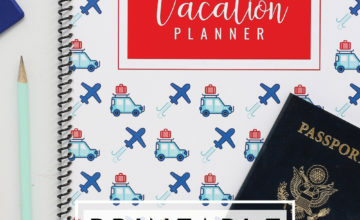 Before I share with you all the fun ways I made my planner pretty, I want to show you a few other features of my planner and share some ways I’m making the most out of this single digital file! 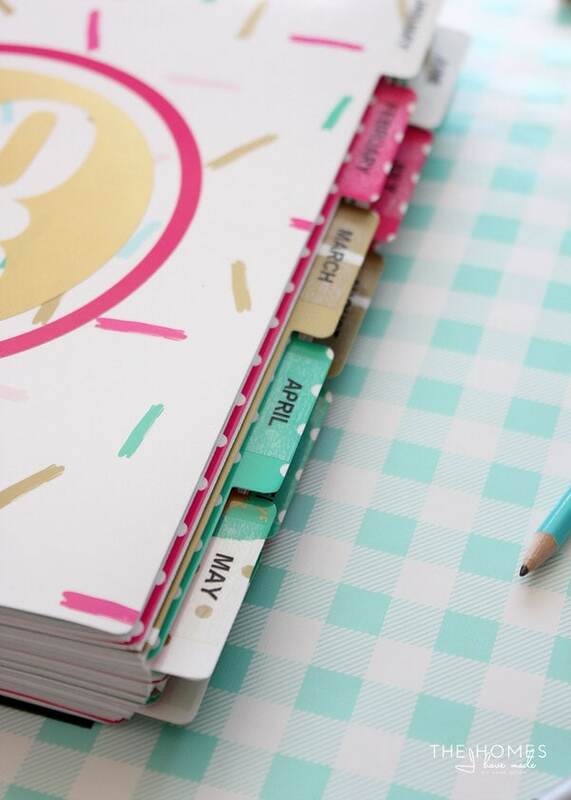 One of my favorite features of this planner was that it was completely date free…meaning I can use this same planner year after year! Like I sad before, I split out all my necessary tasks across the week and assigned them to specific days. 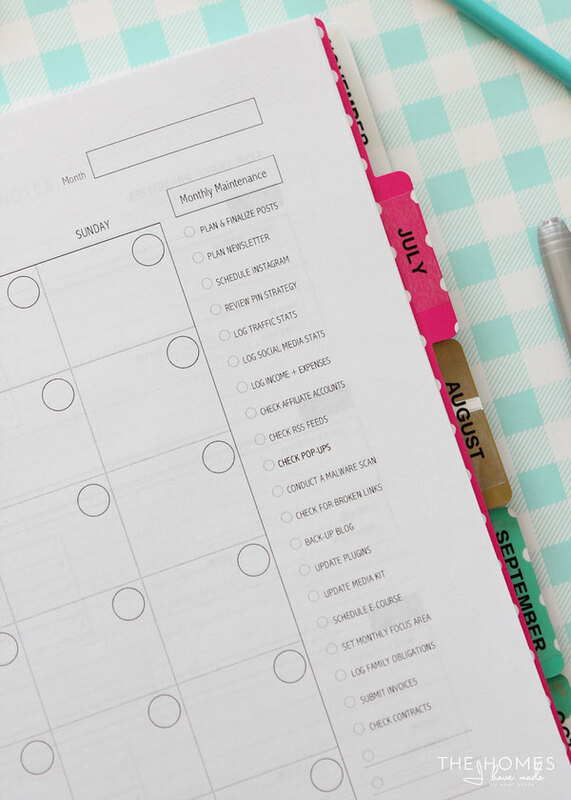 Now I have a single sheet dedicated to each and every day of the year…and each sheet has specific tasks as well as spots for a daily schedule, blog post, social media schedule, and a meal plan! Everything I need is in one single spot…and I love it! Beyond having everything I need to track on a single day in one spot, I also have everything I need to keep the blog organized and moving in the same place. You guys know I hate redundant systems, so now the back of my planner is dedicated to goals, brainstorming, maintenance checklists, trackers and more (all provided in the printable blog planner, I just tweaked the order and some of the topics)! Yes, this guy turned out to be huge…but it has everything I need to stay on top of life and the blog for the coming year! Huzzah! 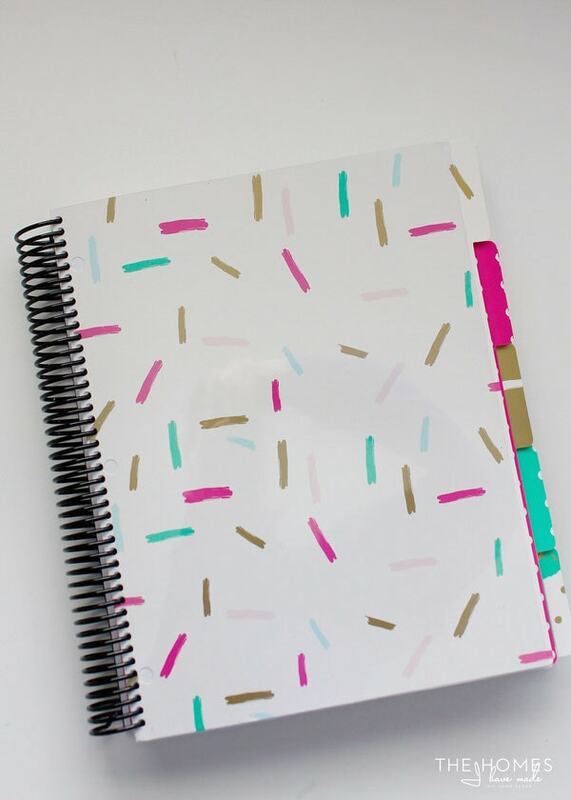 Now that I’ve shown you how I bought, customized, organized, and printed my planner…I thought it would be fun to show you some ways I dressed it up and made it more fun! 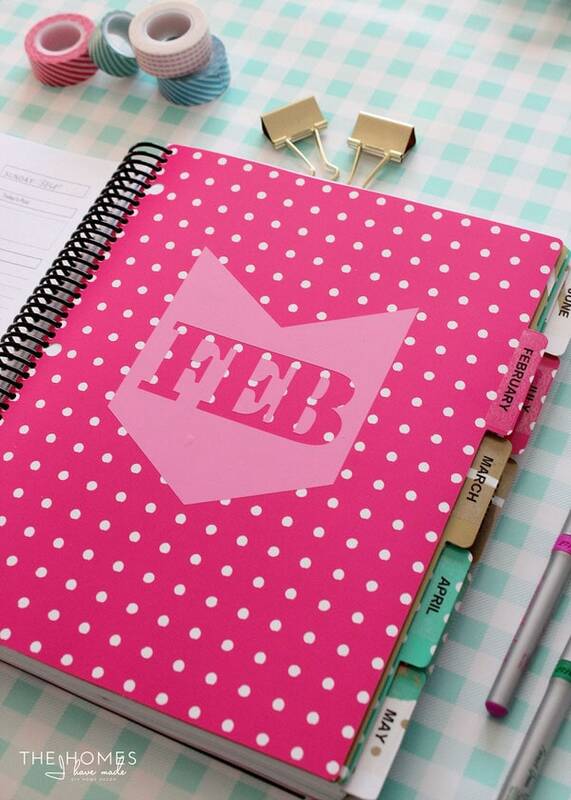 Like I said, I picked a neutral planner design so I could add colors and accessories in my own way! Thanks to fun combination of vinyl, dividers, labels, stickers and tapes…my planner is now as pretty as it is functional! Let’s first talk about my awesome tabbed dividers! I found these bright and colorful dividers in the Dollar Spot at Target. Not only were the colors fun and fresh, but at $1 for 5, they were the perfect solution! I had them bound right into the planner, then used my label maker to add on the month names. I also took the extra step to label the backs of each tab so I can easily flip back and forth as necessary! …as well as the front of each month’s tab! I love that my planner came undated, but just penciling in the numbers felt a little bland. 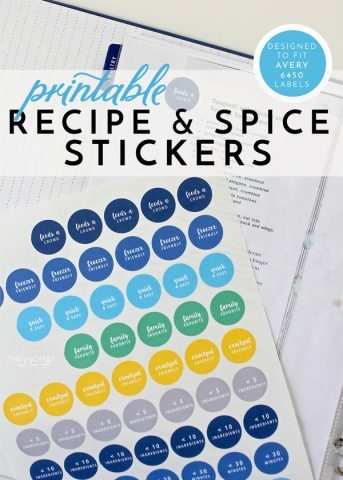 I made some month/date stickers using the Print and Cut feature of my Cricut Explore. 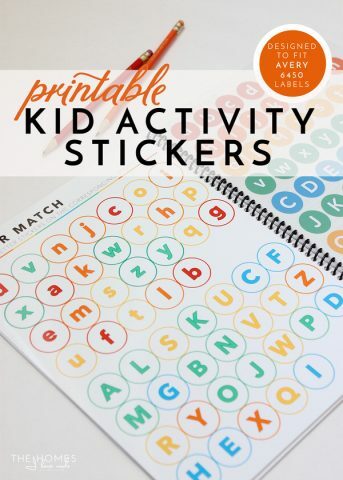 I’m not going to share a tutorial on how I made these here because there are SO many out there (just Google “Planner Stickers on a Cricut”)…but I will say that it seemed more trouble than it was worth. 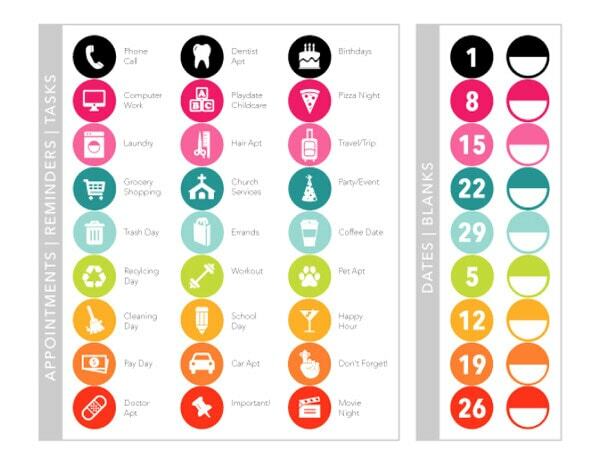 Like I said in the beginning, sometimes DIY versions are NOT the easier or quicker route 😉 Still…I have pretty cute date stickers for each month now! 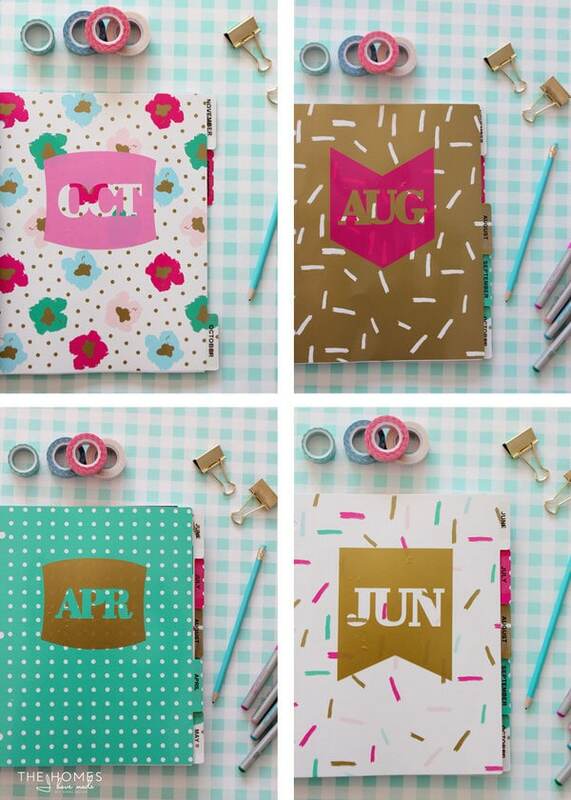 But what’s so much more fun than the little date stickers I made with my Cricut…are the Planner Stickers I designed and made for you guys! 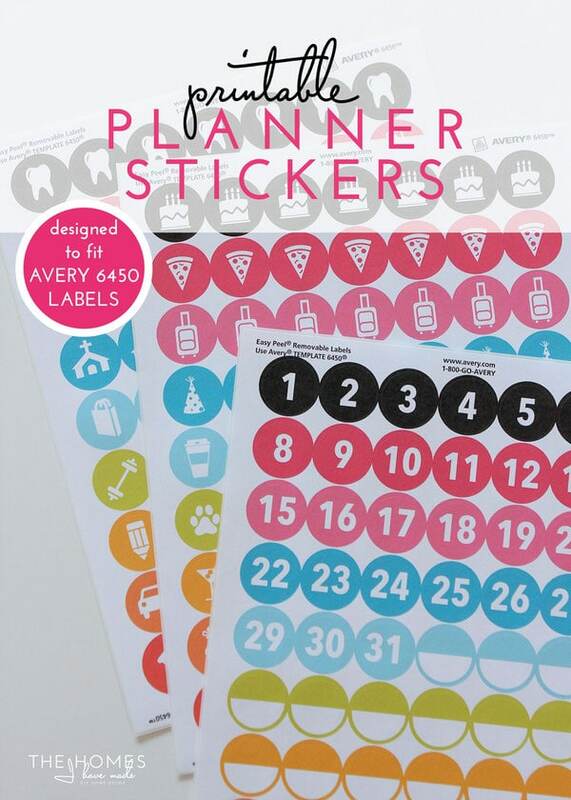 Thanks to these planner stickers, I now have fun and noticeable ways to add events and tasks to my planner! 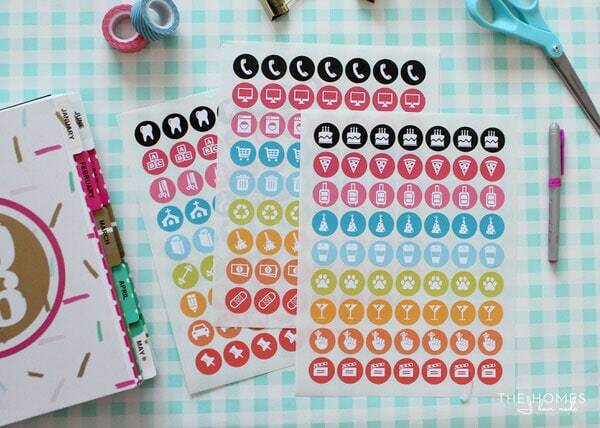 I’ve never used cute Planner Stickers before, but always loved the idea! I was going to order some until I saw the price tags of some of the sets available – ouch! 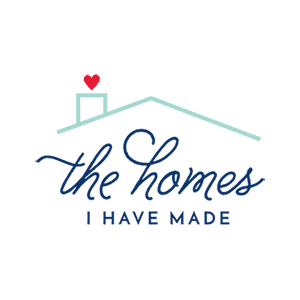 I knew I could make my own (of course)…and decided to design some that everyone can use…not just those with e-cutters! 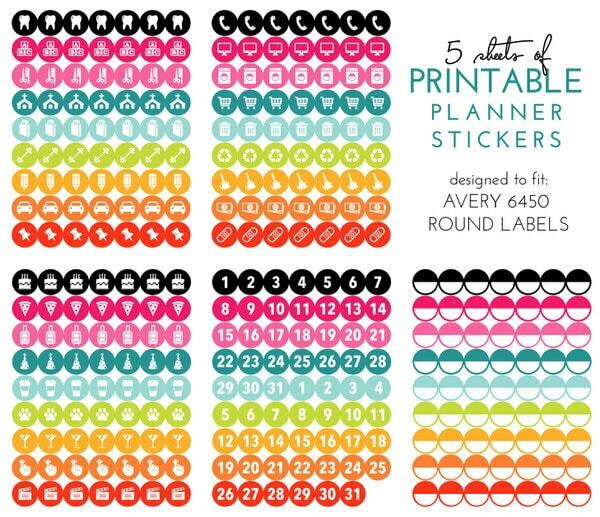 I’ve designed 5 sheets of Planner Stickers, all formatted to fit onto AVERY 6450 1″ Round Labels . I tried to come up with as many useful icons as possible. 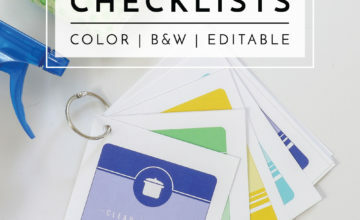 Since I am sure I forgot some, I also made a sheet of blank labels you can either write on with a pen/marker or edit right on your computer! 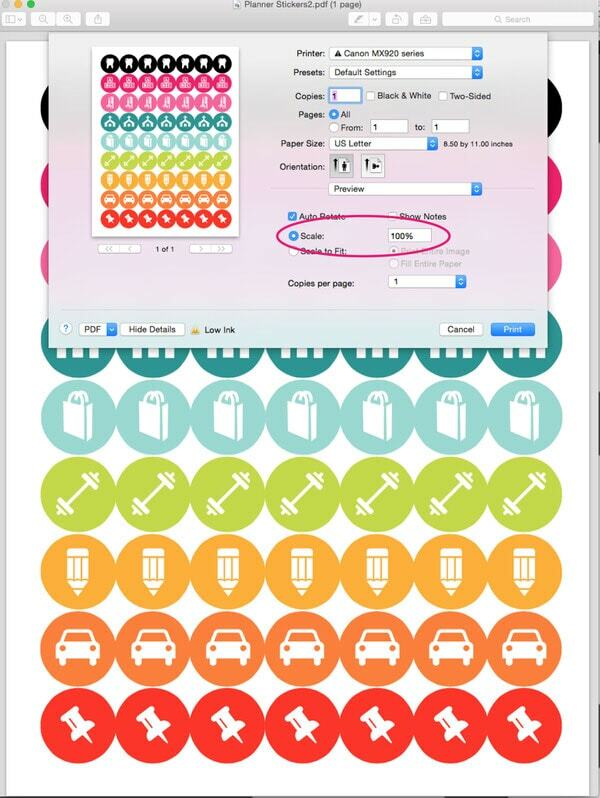 Once you’ve purchased your Avery 6450 1″ Round Labels and downloaded the printable file, just open the document, select which sheet(s) you want to print, load the paper into your printer (according to your printer’s directions) and print at 100% scale. I’ve built in a small bleed margin, so hopefully they will print just right for you! 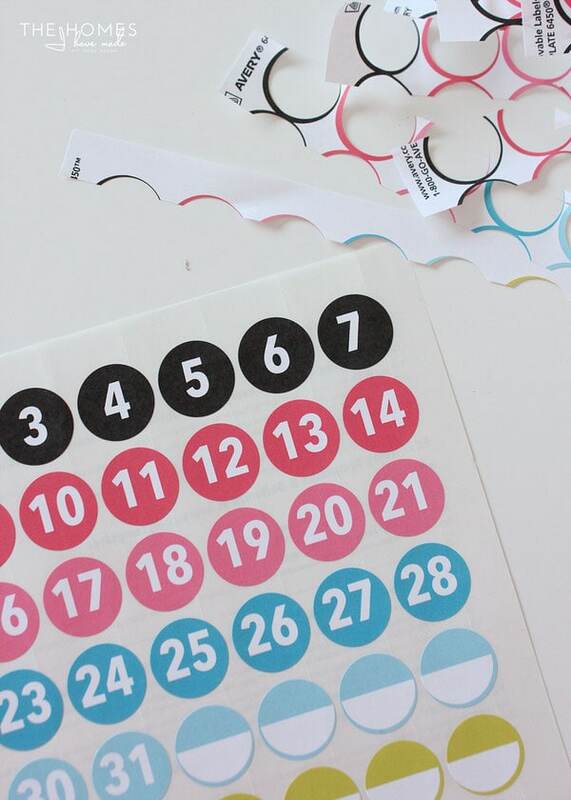 (If you do have trouble getting the stickers to print right, I’ve outlined some tips and tricks in this post.) 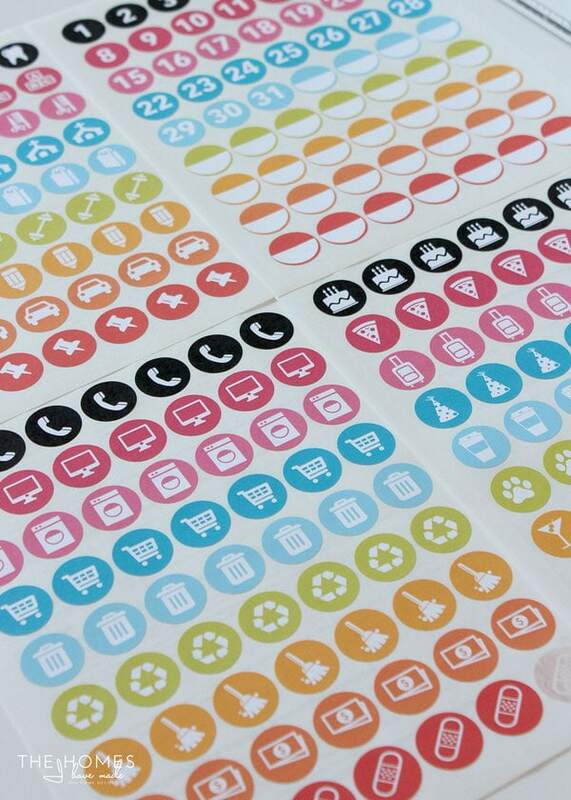 Once you peel away all the excess paper, you will be left with sheets of fun and vibrant stickers to use all over your planner or calendar! I hope you guys will print them out and give them a try! I think they would be awesome on a large wall calendar for the whole family to see and use! 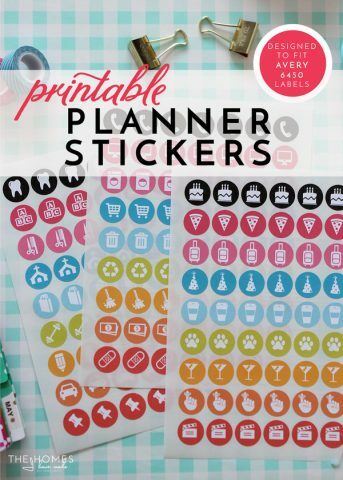 Yes, it took a little bit of work, but with my new, fully customized planner and a slew of these fun Planner Stickers…I am ready to organize and (more importantly) stay on top of everything in the coming year! 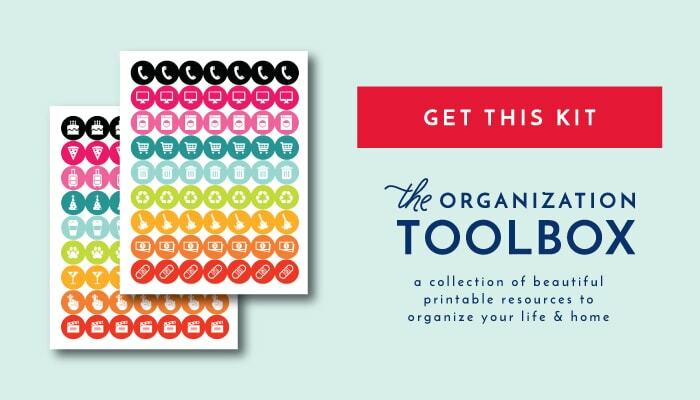 This Printable Planner Stickers Kit has been uploaded to The Organization Toolbox and is available for download right now! 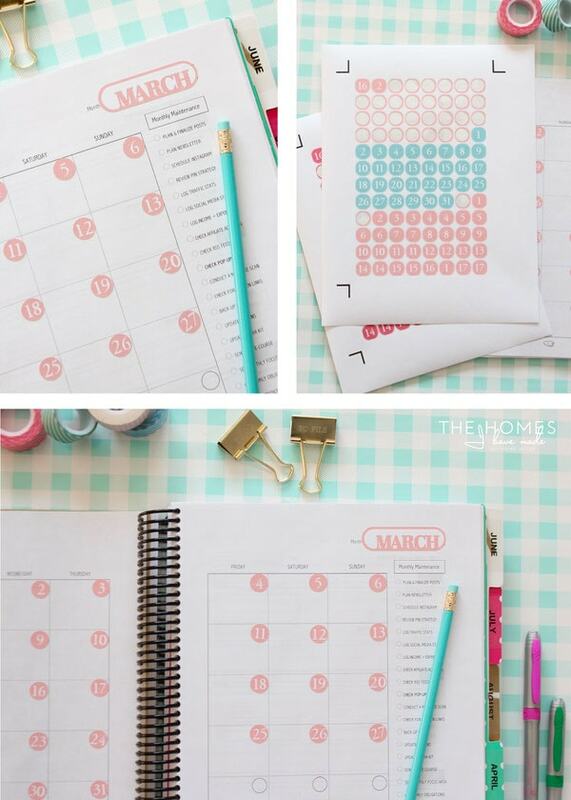 Tell me…have you ever used a printable planner? 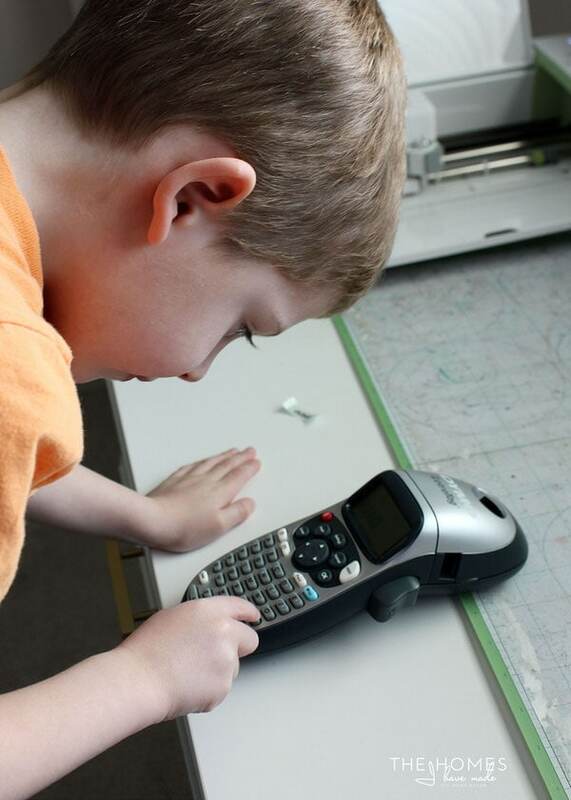 Have you ever tried to customize it just right for your needs? 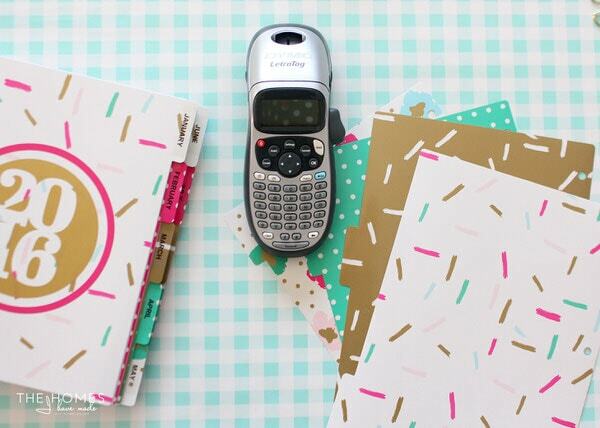 Are you a pen and paper planner or all digital? As much as I try to go digital, I like having everything written down right in front of me! 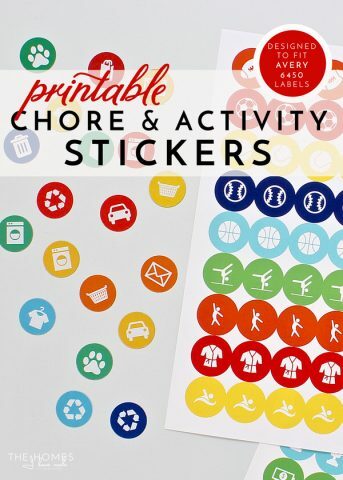 Instead of fighting it, I’m now embracing my pen and paper (and stickers!) in a big way! 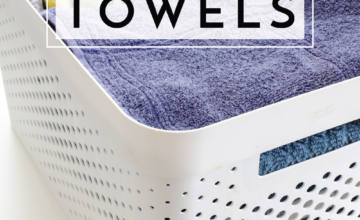 See you back here Thursday with my latest fabric organization solution!